Bring an extra bag so that you can carry all the great deals and souvenirs you find at Mall of America (MOA), located across from the Country Inn & Suites, Bloomington. 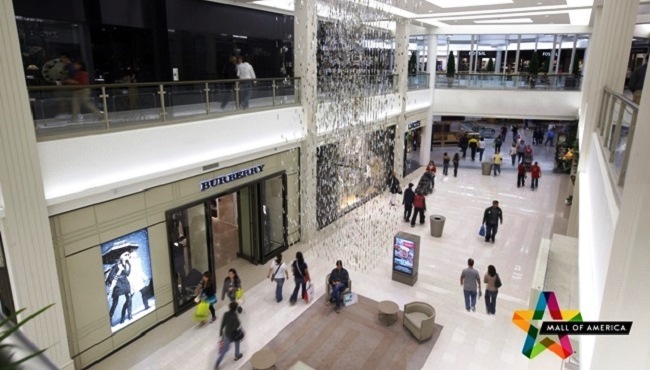 At more than four million square feet, Mall of America is one of the largest malls in North America and features more than 500 stores, 40 restaurants, seven nightclubs and a 14-screen movie theater. Stop by clothing and footwear shops, such as Gap, lululemon and Skechers, for tax-free shopping. Then, head to one of the on-site restaurants and bars for a delicious meal or a drink. As the home of the country’s largest indoor theme park, MOA is exciting for adults and kids alike. Your family can explore massive structures at The LEGO Store and meet their favorite cartoon characters at Nickelodeon Universe®. Learn more about underwater creatures at the SEA LIFE® Minnesota Aquarium before walking along the skyway or hopping on our complimentary shuttle to return to the hotel. Create a cherished memory for your kids by reserving an afternoon tea time for them and their doll companions, or spend a few hours in the shop picking out clothes, furniture and accessories. Ready for a break from shopping? Stop by CRAVE for fresh, exquisitely crafted American cuisine and sushi. This contemporary restaurant has happy hour specials during the week and even features a gluten-free menu. Considered one of the best comedy clubs in the state, Rick Bronson’s House of Comedy boasts top acts who have been featured on Saturday Night Live, Comedy Central and The Tonight Show. You can enjoy a full menu, including burgers, flatbreads and vegetarian options, during your evening of laughter. A favorite for the younger crowd, the four-level LEGO store features a Pick-a-Brick wall with 180 different LEGO pieces, a 34-foot-tall LEGO robot and tons of activity tables. With seven acres of family-friendly fun, this indoor amusement park offers something for everyone, from the cute Balloon Race to the thrilling Brain Surge. If your family loves sea creatures, don’t miss this expansive aquarium, which houses more than 10,000 animals. Walk through the 300-foot shark tunnel, experience the stingray lagoon and watch tiny seahorses enjoy their lunch. When you're done with your meetings, take the team to this 30,000-square-foot fun center for some friendly competition at the 12-lane black-light bowling alley. If you're with your family, set the kids loose in the arcade before sharing a stone-fired pizza and cold drinks.